EVERY “A” & “B” SIDE RELEASED DURING HIS GLORY ERA! 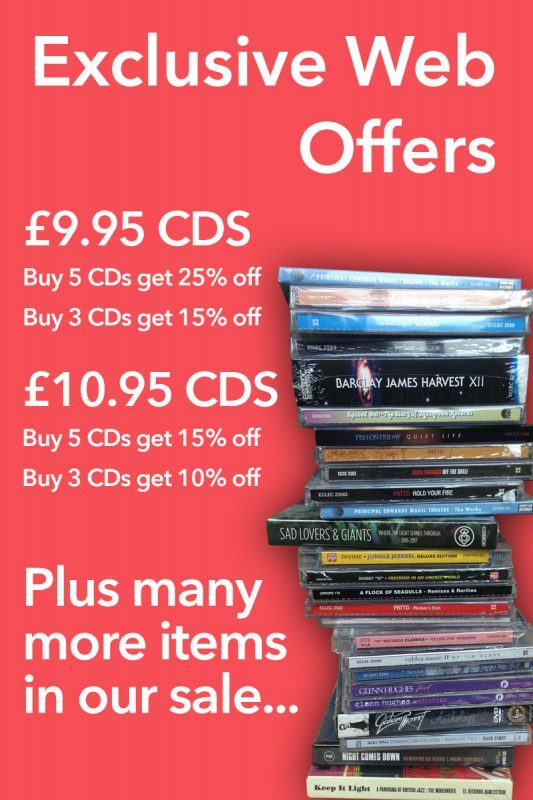 • INCLUDES MANY RARE/ALTERNATE MIXES! 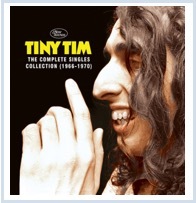 TINY TIM was one of the most outrageous, unique, and beloved sensations ever to emerge during the 1960s. Born of that brief, inspired moment in time when the freaks almost took over, Tiny’s debut LP, April 1968’s God Bless Tiny Tim, is an otherworldly mission statement from the misunderstood pop culture icon who almost singlehandedly invented “other.” Yet despite all this, a complete singles collection, or ever a legitimate “Best of” chronicling his golden years, has never been compiled on CD. UNTIL NOW! Featuring the Top 20 hit “Tip-Toe Thru’ The Tulips With Me,” The Complete Singles Collection (1966-1970) includes the original single mixes of all of his classic Reprise singles, from this peak era of his career. Also included is his debut 45 on Blue Cat and his post-Reprise era one-off single for Scepter Records, for the first time ever on CD! This 22-track deluxe edition includes many original mono single mixes, which has been out of circulation since their original release. The deluxe, full-colour booklet also includes rare photos and extensive and insightful liner notes by KRISTIAN HOFFMAN. Mastered by ALAN BROWNSTEIN from the ORIGINAL MASTER TAPES!